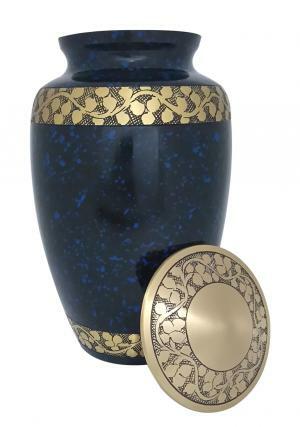 Blue Engraved Brass Banded floral Adult Urn with asymmetrical decorated blue with unique blue marble presence. 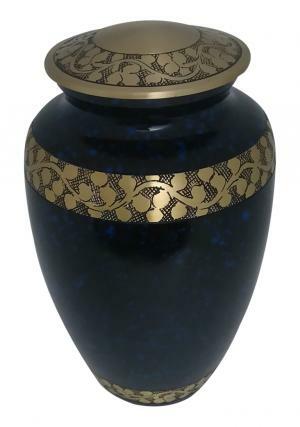 The Large adult urn is measured to be a solid brass metal urn with an decorated outlook. The brass engraved floral bands circled around the urn at the top and bottom with a superior look. 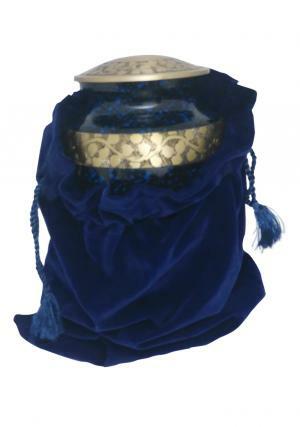 The Spilt Blue Band Engraved Adult Urn has a brass engraved floral aspects on the lid used for secure closure of the demised loved one’s ashes in the urn with screw threading on the top. 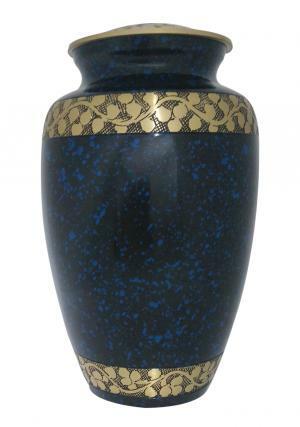 Split Blue Band Floral Engraved Adult Cremation ashes urn weighs 2.1 kg, measures 10.24 inch tall and 6.1 inch in width which has a spaced volume to preserve 200 cubic inch of adult human ashes.